2.5-10 Front and Rear tires offer great traction. Shipping charge for one single unit of DB-Z002 is $99.95(Please login to see real shipping charge for these states: Florida, New York, District of Columbia, Connecticut, Maine, Maryland, Massachusetts, Montana, New Hampshire, New Jersey, Pennsylvania, Rhode Island, Vermont, West Virginia, Delaware, etc.) , and you will get discounted shipping price if you order multiple item. Great little unit for the price. Perfect! Got it as a gift for my daughter on her 6th birthday, she loves it! It is a little china bike. With that being said, my grandson loves this thing. He is 6 yrs old and rides his bicycle like its a dirt bike, so I say hes ready, and boy was I right. He took to this little dirt bike like a fish to water. Once he got his first crash into a fence out of the way, he was good to go. I told him everyone crashes on their first time. I have had more fun watching him have fun. It was worth every penny to me just to see that ear to ear smile on his face. Very happy with it. My daughter said it's her most favorite thing ever. 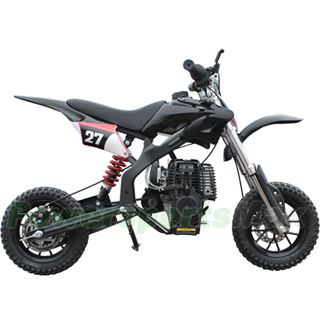 Recommend this dirt bike on customer service alone! They were amazing when we needed a part replaced. My 5 year old loves his bike. It was easy to put together and my son was driving it the first day. Definitely recommend for the price. Great learner bike. For my son's birthday, it was perfect! Well done, well-made and highly recommended. Great bike for the price, grandson loves it.